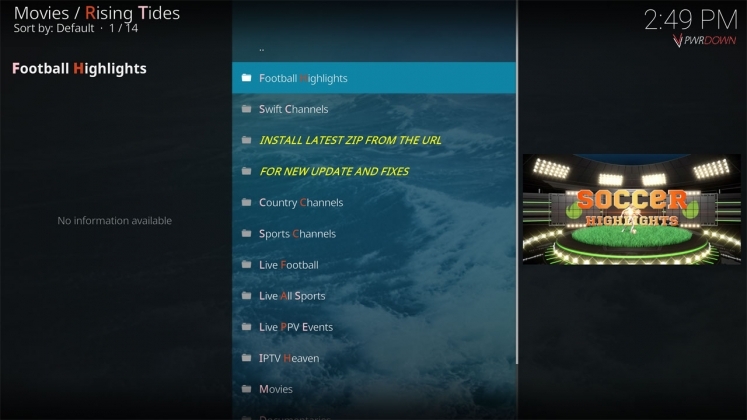 Kodi’s Rising Tides add-on is one of the best Live TV add-ons available. 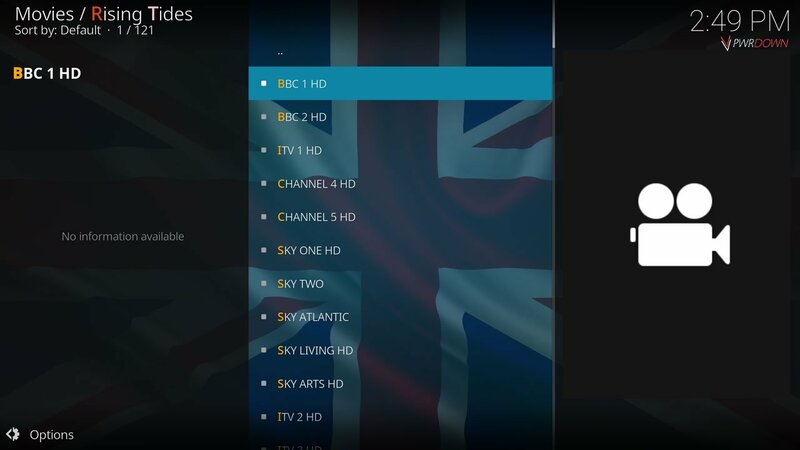 It has content for literally everybody. 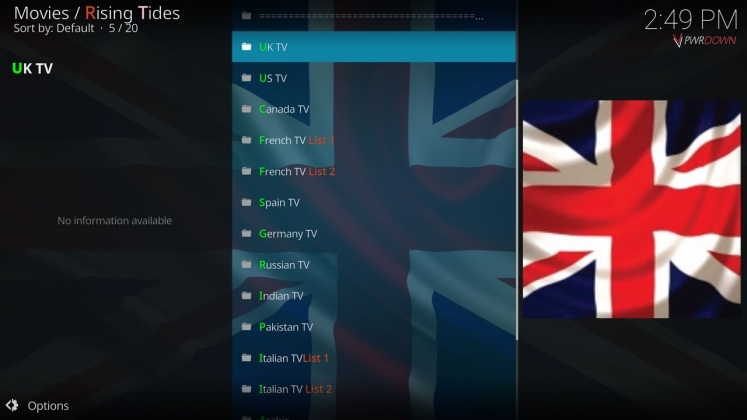 In it’s countries section, you can find Live TV Channels for UK, USA, Canada, French, Spanish, Italian and so much more. 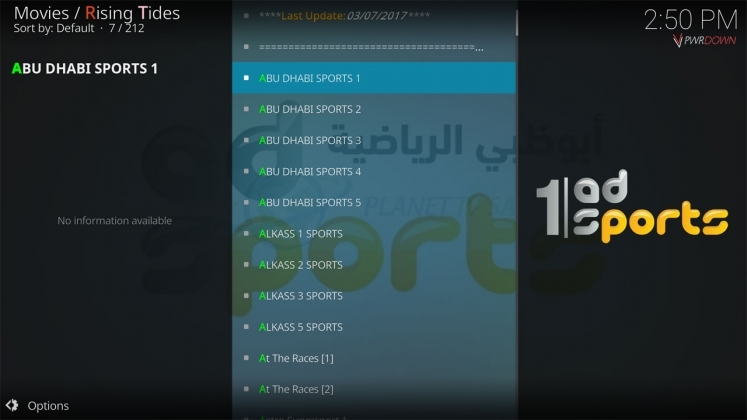 As well as Live TV, the Rising Tides add-on offers a lot of Live Sports content. With over 200 channels and more in other categories, this is a great add-on for everyone. I believe over time, this will become one of the most popular Kodi add-ons. Complete! 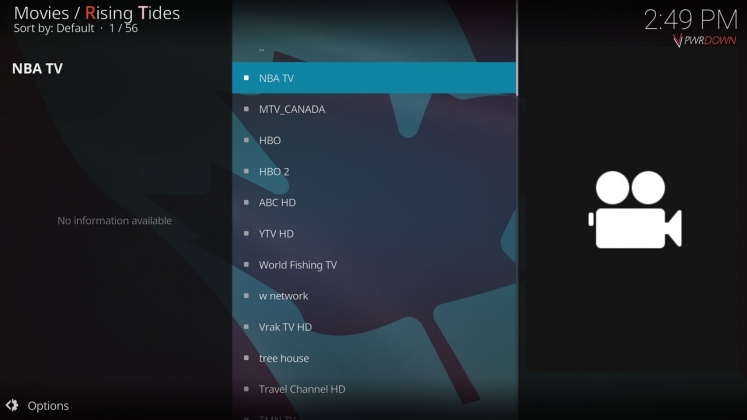 The Rising Tides add-on can be found under your Video add-ons.